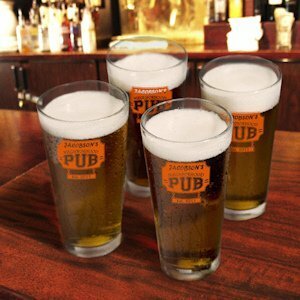 Welcome your friends warmly with a pint glass of their favorite brew or soft drink! Our personalized glasses are just right for entertaining, or as a housewarming gift. Choose your style - Pub or Sports Bar - and ink color then we add your name and established year. Each glass holds 16 ounces. Comes in a set of 4 (all personalized the same).